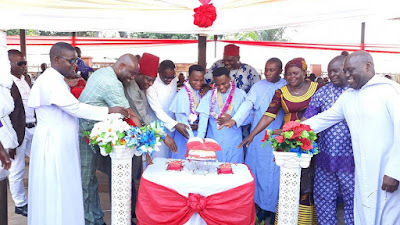 Senator Victor Umeh and his wife, Lady Prisca Umeh joined others to felicitate with Rev. 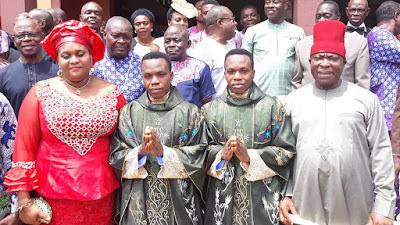 Fr Francis Offiah and Rev. Fr. Cornelius Offiah – the identical twins who were ordained priests in Anambra last weekend. 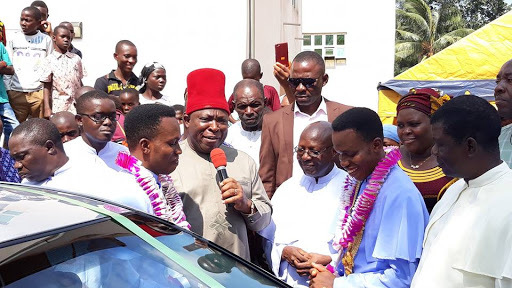 The priests were given a new car by the Senator to support them in their ministry. 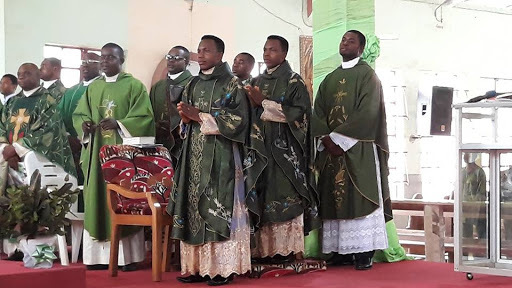 They co-celebrated their First Solemn Mass on Sunday 8th July at St. Patrick's Catholic Church, Aguluzigbo in Anambra state. The twins were ordained Catholic Priests on Saturday 7th July, 2018 by the Catholic Bishop of Nnewi Diocese, Most Rev. Hilary Odili Okeke.